At United Psychological Services, we emphasize the importance of balance between emotional and physical health in order to enjoy overall wellbeing. We are committed to improving the emotional health of the communities that we serve, providing a thorough diagnosis guided by the most recent advances in research. In striving to achieve this goal, we seek partnerships with physicians in the medical community to provide a coordinated approach to health care. We are dedicated to providing individualized and comprehensive care; approaching each of our patients with respect, concern and dignity. A neuropsychological specialty clinic offering pediatric and adult evaluations from diagnosis to treatment with a specialized professional staff in one clinic location. For Junior High and High School Students Struggling to attend school and/or not attending at all. 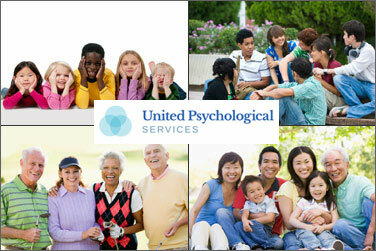 Comprehensive and fully supported program caring for children, adolescents, adults and aged.